Kids Halloween Parties can be a wonderful experience for young ones and another alternative to Safe Trick or Treating. Children can dress up as their favorite superhero, Princess or whatever their hearts desire and enjoy what the Halloween season truly has to offer. Parents can relax in a stress free environment while children play games, eat candy, make new friends and enjoy wonderful entertainment. Halloween Parties aren't only for adults and Halloween enthusiasts- children can enjoy dressing up and pretending to something other than themselves for a night. 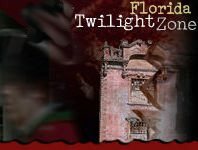 Kids Halloween Parties range statewide in Florida-be sure to visit floridahauntedhouses.com for a party nearest you. Dakin Dairy Farm Fall Fun Myakka City 193 days ago Rate Now! Little Farm Pumpkin Patch Goulds 218 days ago Rate Now!